A loaded semi-truck and trailer can easily weigh 80,000 pounds, while most cars weigh approximately 4,000 pounds. This disparity in size and weight means that collisions involving semi-trucks can easily cause catastrophic injuries. 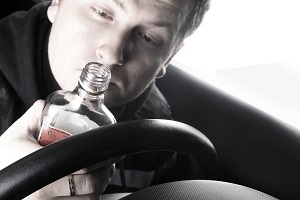 This risk of injury is highest when a commercial driver is operating under the influence of alcohol or other drugs. Truck drivers must work long hours and make deliveries under tight deadlines. This pressure, combined with the extended time away from family and friends, often leads to problems with substance abuse. A recent survey of commercial drivers found that 50% admitted to drinking and driving and 30% admitted to using amphetamines while working. Young and inexperienced commercial drivers were the most likely to report work-related substance abuse, although those who must make nighttime deliveries also reported higher than average rates of alcohol and drug use. Medical expenses, including doctor's appointments, surgery, medication, and physical therapy or other rehabilitative services. Reimbursement for lost wages, including any applicable reduction in future earning potential due to your injuries. Pain and suffering, including the emotional trauma of being seriously injured in an accident. Punitive damages, which are designed to punish the drunk driver for his willful disregard of the safety of others. Collisions involving large commercial trucks and passenger vehicles are often fatal. If your loved one was killed in a truck drunk-driving accident, you can file a wrongful death claim. Spouses, children, or the parents of a child under 18 can collect damages for medical expenses, lost wages, funeral expenses, and the loss of companionship of their loved one. Punitive damages may also be awarded, depending upon the circumstances of the case. Commercial drivers are required to carry insurance policies with higher liability limits, due to the size and weight of their vehicles and the increased injury risk to others in the event of a collision. This means the average settlement is typically larger than you’d expect from a collision involving only passenger vehicles. Truck drivers are required to have completed specific skills training before earning a commercial driving license. A company that allows an unqualified person to operate a commercial vehicle can be held financially liable for negligent hiring and training. Drivers who do not follow state and federal laws regarding pre-trip inspections, log books, cargo load limits, and vehicle maintenance can be held liable for this negligence, in addition to the penalties for driving under the influence. It may be possible to hold more than one party liable for the damages you’ve suffered. If you or someone you love has been injured in a drunk driving accident with a big rig truck or other commercial vehicle, the experienced lawyers at Rechtman & Spevak may be able to help. Please complete our online contact form to learn more about your options.